on one platform. Keep investors up-to-date. Xtensio is a collaborative workspace that simplifies the process of communicating essential information between your company and its investors. Create and manage key collateral that can be easily shared between internal and external stakeholders. Whether you’re representing the company to investors, supporting company valuations or analyzing and reporting on security commissions and stock exchanges, Xtensio is where your team's work flows. Build anything from strategic business docs, financial reports, proposals, one-pagers and landing pages with the ease of a web builder. Then quickly and easily reuse, update and personalize content for different stakeholders and projects. 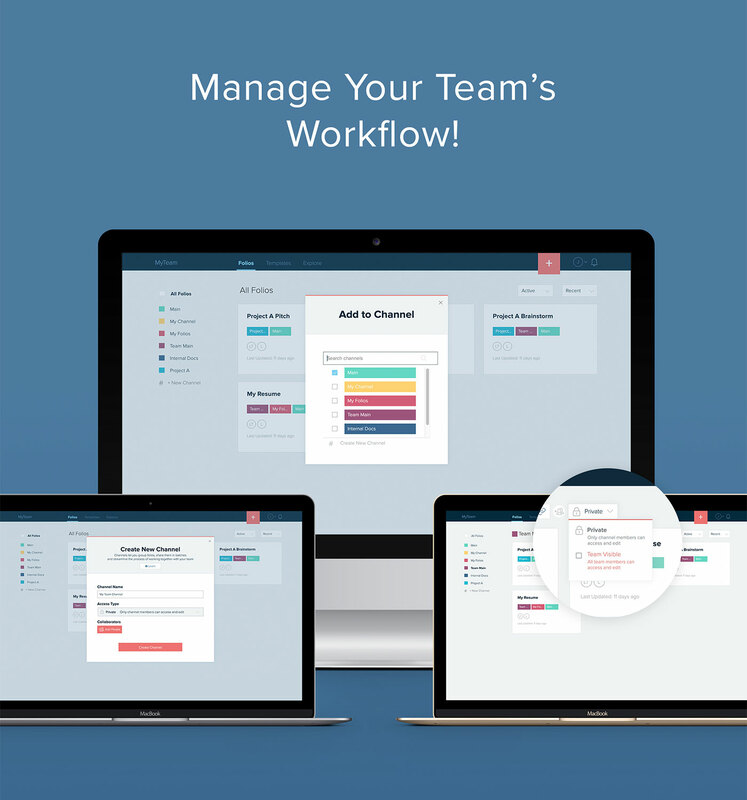 Work as a team across departments and management from anywhere. Loop in investors and stakeholders as guests. Everyone is always up-to-date and your inbox is clutter free. With one click, your folio turns into a digital slideshow. Deliver an engaging and interactive investor presentation from anywhere. Each section of the folio becomes a slide. Xtensio for Business offers a private and branded workspace for connecting both internal IR, finance, marketing, and management teams and external investors and stakeholders with important company information that moves the business forward. Customizing business communications for different audiences is simple. Save any folio as a custom template for your team to reuse again and again. Publish it on your website to build your brand. Centralize your business communications and keep everything organized with channels — investor, report type, etc. Add collaborators or share the channel link so everyone has the access they need, when they need it. Utilize our templates and resources for different stages of your investor relations — from creating one-pagers and financial reports to internal strategy exercises and reports. Remember, you can always start with a blank slate to build anything you need.